Home to Ben & Jerry's, Vermont is better known for its desserts, than its deserts. 3000 miles from Johnson Valley, Vermont is also home to the only Ultra4 UTV team from New England. 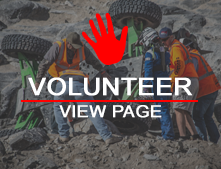 FKF Racing started back in 2010, after myself & co-driver Michael Catrini attended KOH, along with the rest of the Summit Crawlers club. Bitten hard by the racing bug, I've only missed one KOH since. Michael & I spent the years following that first KOH designing & fabricating builds for several fellow club members, the only payment accepted was to provide food & drink for shop days. Soon, we became known as Fat Kid Fab. As each build happened, friendships grew stronger, and soon we had a full shop of friends eager to learn & help. On January 7, 2015 I bought a bone stock 2014 RZR XP 1000, with the only goal of entering into the 2015 KOH UTV Sportsman class, less than 30 days later. From that point on, Fat Kid Fab was now FKF Racing. 2 weeks later, we had all the safety requirements met, and we made the 3000 mile drive (1/2 in never-ending snowstorms!) to JV. Having never owned a UTV before, much less any desert racing experience, we had 3 days to get familiar before the green flagged dropped! We started strong, passing many in the rocks, thanks to our East Coast crawling background. We made it to rm72.5, before a catastrophic suspension failure took us out of contention. Not bad for a basically stock RZR & zero experience! We were hooked! We've since upgraded everything that we think may fail, and we're ready to race again this year! Come find us in the Letzroll Offroad/Esab pit! In addition to KOH, the FKF team can be found racing Bro Lites on the East Coast. We now have several trucks racing, and adding more this year. We couldn't do this without the help of Letzroll Offroad, Odyssey Battery, Bad Apple Fabrication, SK Marine Electronics, American Rock Rods, Bomber Designs, Miller Motorsports/SDM, and the entire FKF Racing team!